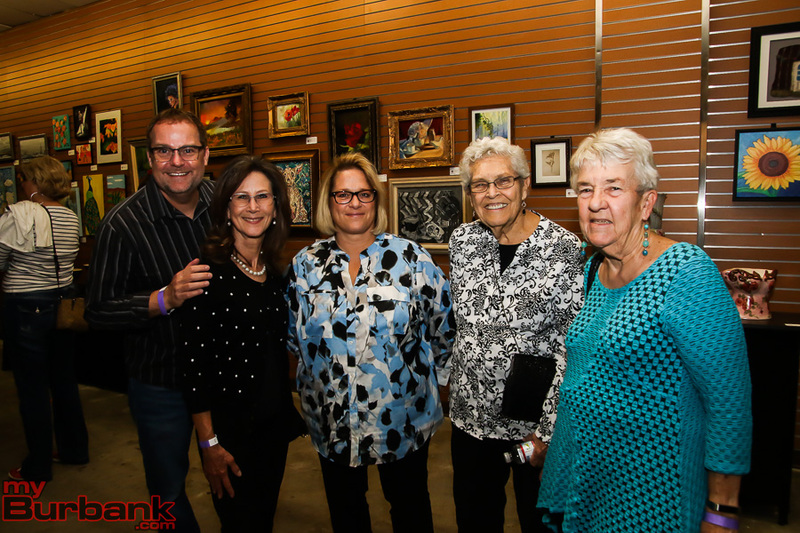 More than 350 people attended Burbank Arts For All Foundation’s Autumn Art Soirée on Saturday, November 3. 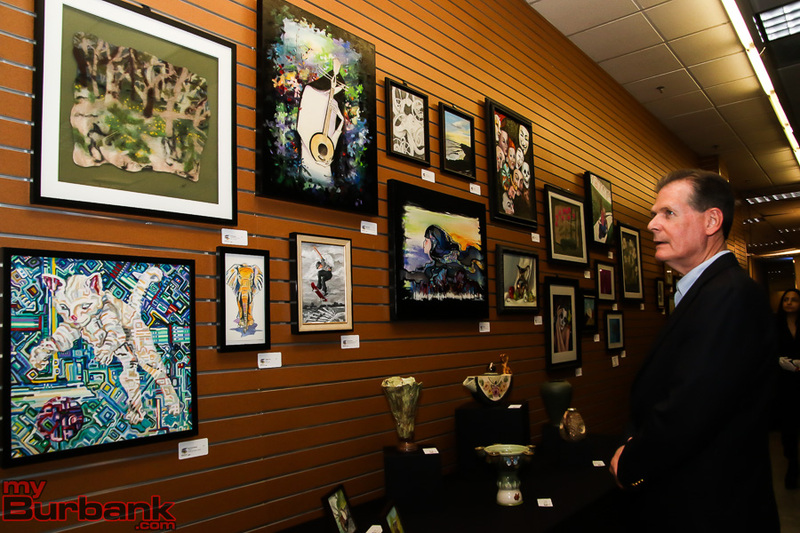 Visitors to the fundraiser purchased a variety of pieces from the hundreds of prints, sculptures and original works of art on display. 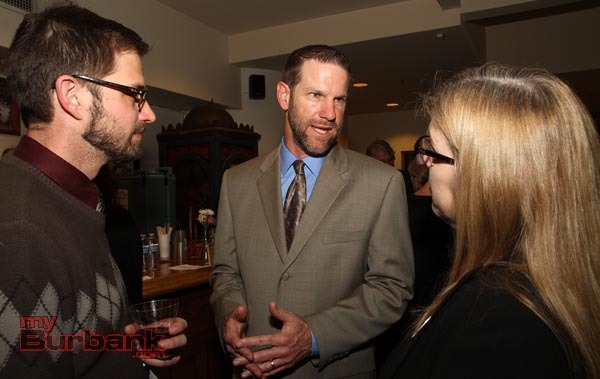 Proceeds from the event support the Foundation’s mission to help fund arts-related programs in Burbank public schools. 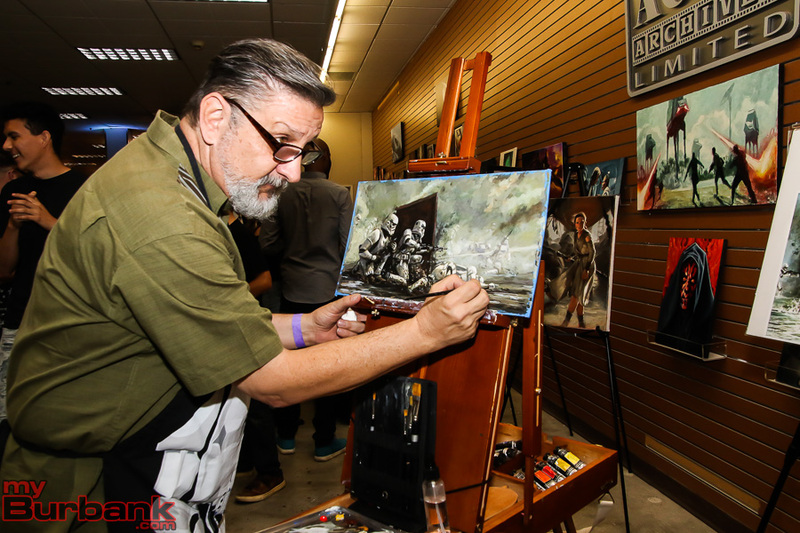 In previous years, the Foundation held the Secret Art Show, which showcased miniature works of art by everyone in the community from students to celebrities to professional animators and artists. 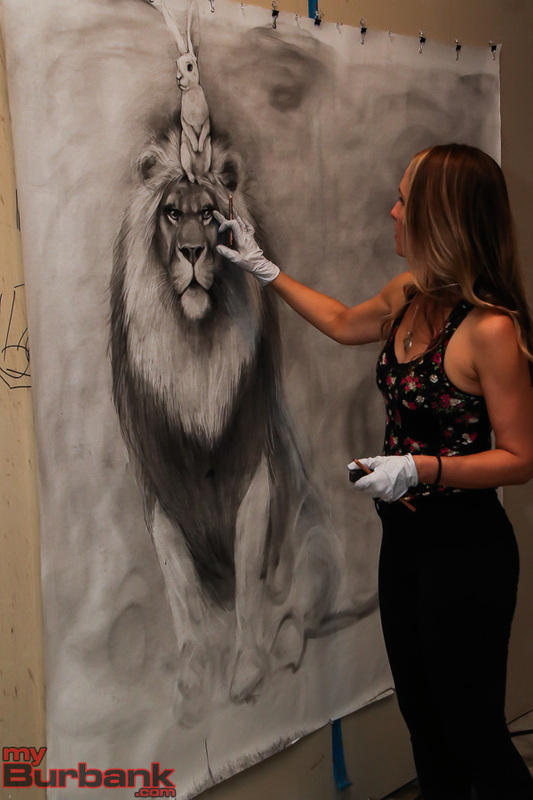 Once a specific piece of art was purchased, the artist was revealed to the buyer. 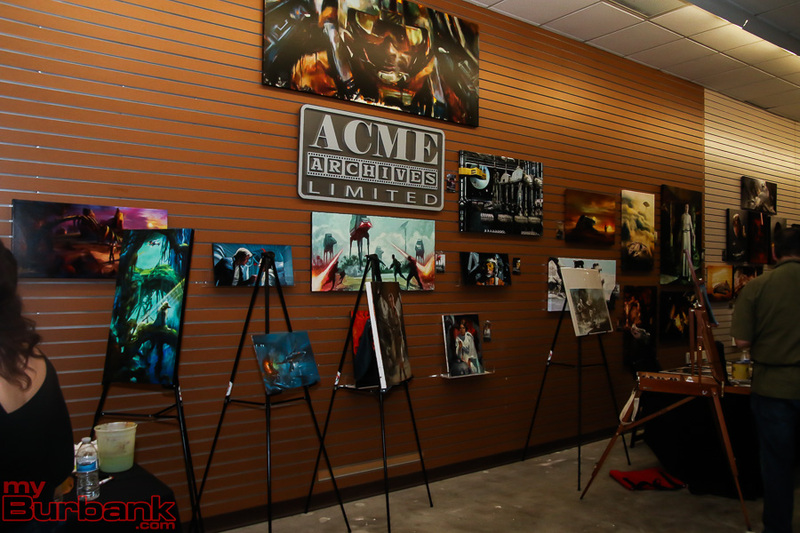 For 2018, the Foundation changed things up a bit, partnering with two local art organizations, ACME Archives, Ltd, and Burbank Art Association, to provide art for purchase at the event. 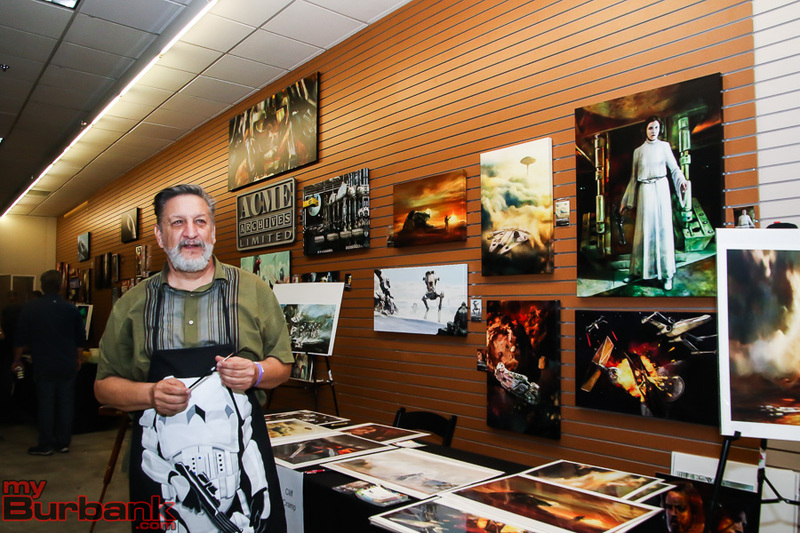 Pieces were available for $40 and upwards and the artist of each work was identified. 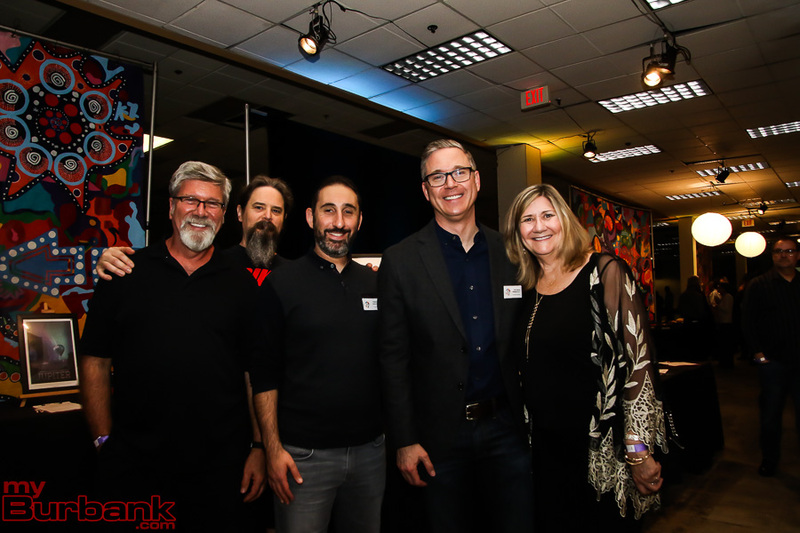 The Burbank Town Center hosted the event in the former Sport Chalet space, with the Foundation’s team putting in the work to transform the vacant space into a “fun, funky lounge party,” according to Pitchford. 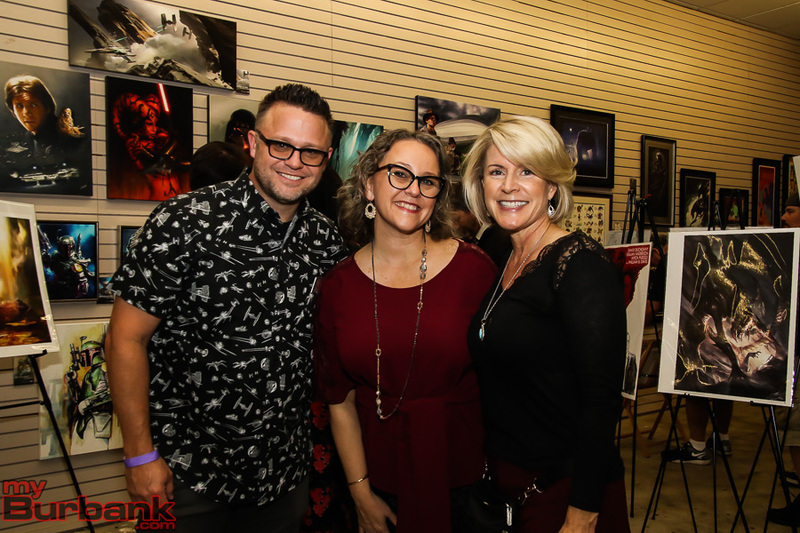 “Burbank Town Center is proud to support the Burbank Arts for All Foundation and is always looking for creative ways to partner with the organization,” said Michael I. de Leon, General Manager of the Burbank Town Center. 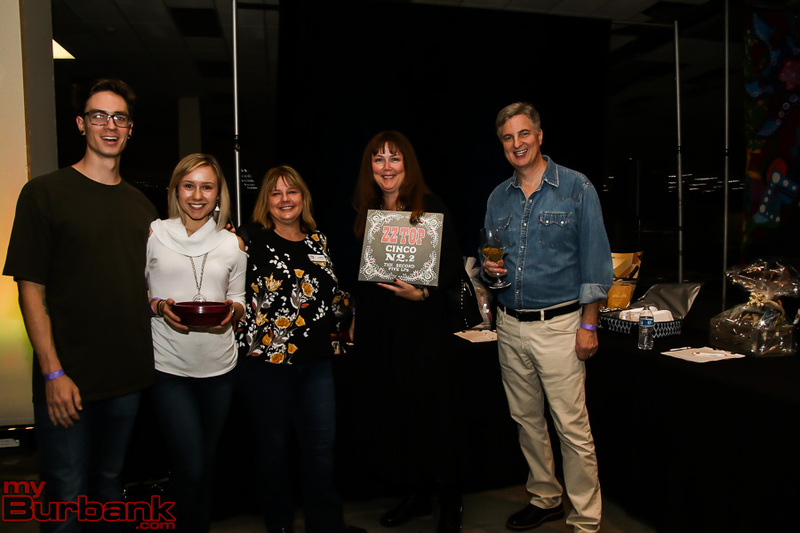 Wine donated by Whole Foods and craft beer donated by Lincoln Beer Company added to the event, along with hors d’oeuvres served by Sandra’s Traveling Kitchen. 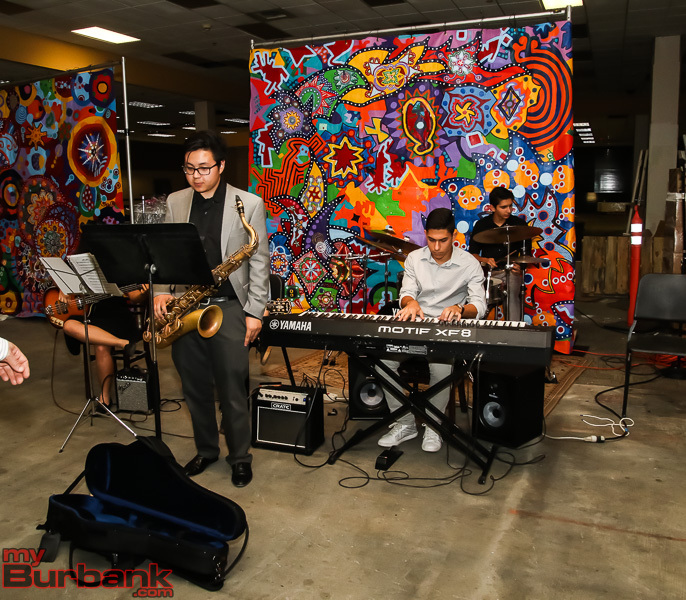 Live music was performed by Burbank High’s Jazz Ensemble. 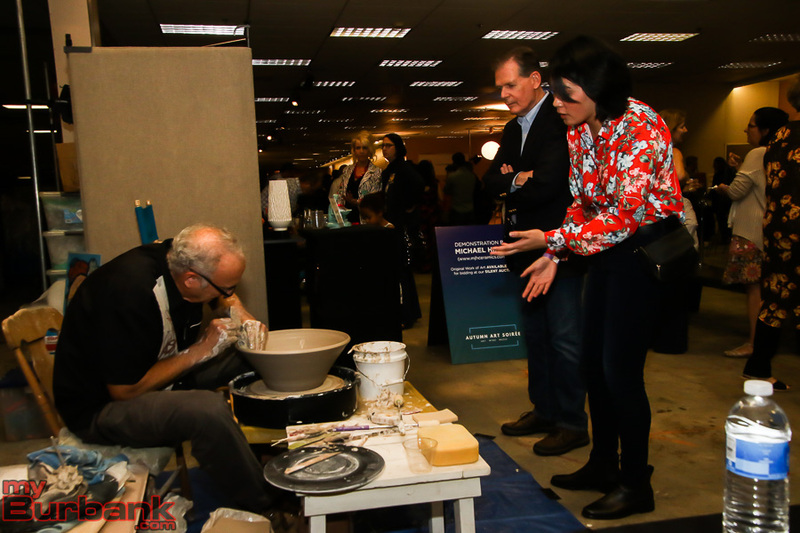 Live art demos were provided by American Master Carbon-Pencil Artist and 2012 ArtPrize winner, Adonna Khare, veteran illustrator, painter and storyteller Cliff Cramp, ceramicist and instructor Michael Hirsh and fine art painter, director and designer Guy Vasilovich. 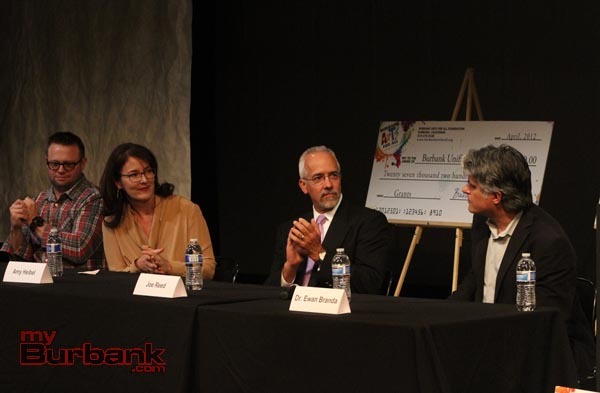 While Burbank Unified School District has the Arts For All plan, the Burbank Arts For All Foundation is a separate nonprofit entity with its own staff. The similarity in name has caused some confusion, among parents, the community and the media, over the years, as the BUSD Arts For All plan has grown the arts within the district since its adoption in 2004. 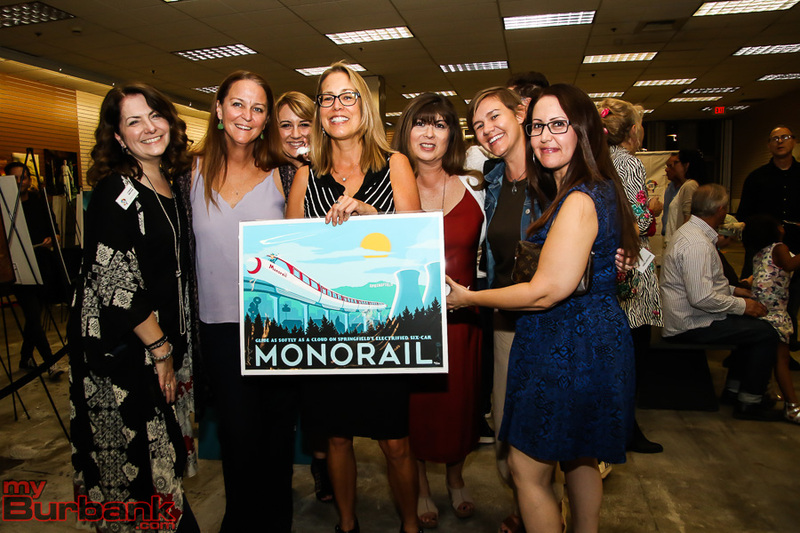 Since 2006, the Foundation has raised funds to run the nonprofit from events held throughout the year. To date, the Foundation has awarded approximately $544,000 in grants. Teachers and administrators from within Burbank Unified are able to write grants requesting one-time funds for specific programs, such as building mini golf courses in middle school geometry class or supporting elementary school plays. In October 2017, the Foundation donated $10,000 to the BUSD Music Is Instrumental campaign to repair and replace instruments district-wide. 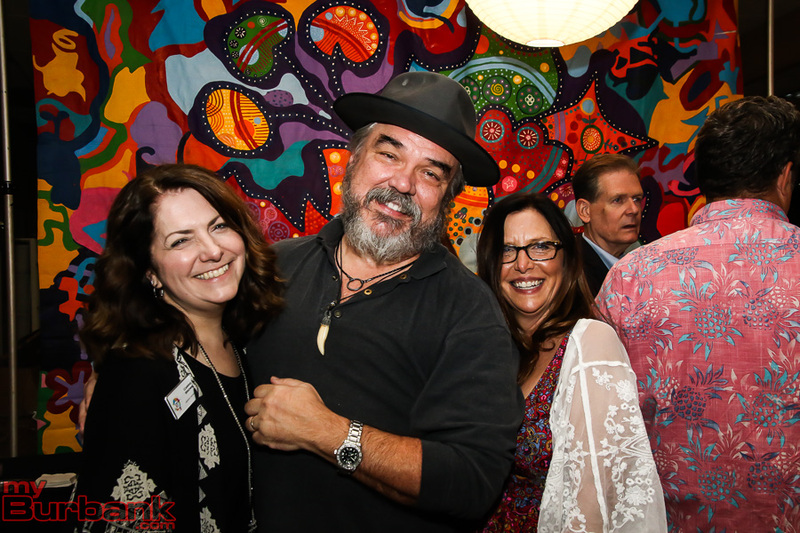 The funds from the Foundation are typically just one of the sources of funding that teachers draw from to enrich their classes and students with arts and creativity. Generally, school site funds and BUSD Arts For All plan funds support most of the arts related programs throughout Burbank Unified. 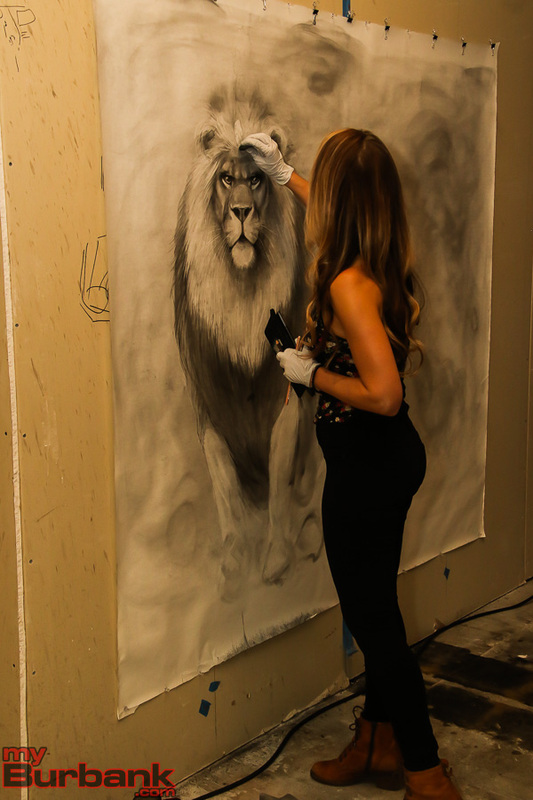 The Foundation provides a vital role in funding arts enrichment for everything from math, science and CTE (Career Technical Education) classes to language arts, social studies and the arts. Adding creativity components and the arts to academic and STEM classes increases engagement and interest for students, according to numerous reports that have been published over the years, while promoting innovation, communication, collaboration and design-thinking. More information on the impact and work of the Foundation, along with their upcoming events, can be found on their website. 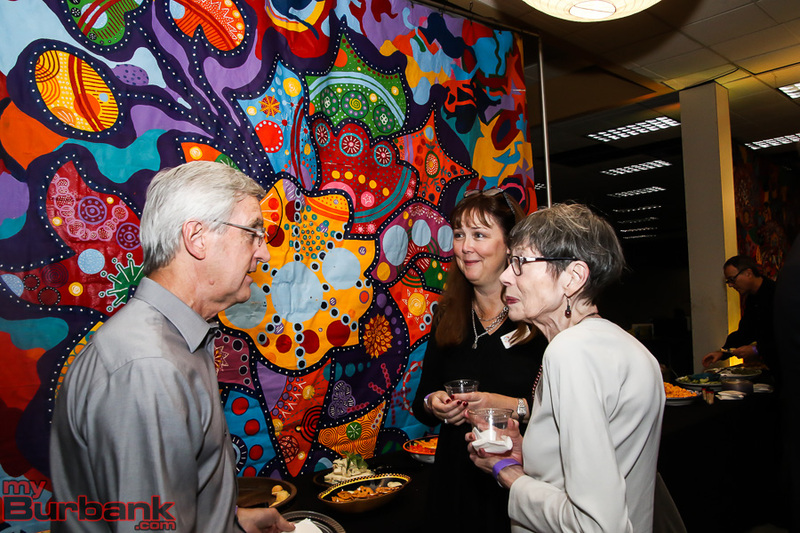 As of publication time, the net amount raised by the Autumn Art Soirée for the Foundation was not yet available. 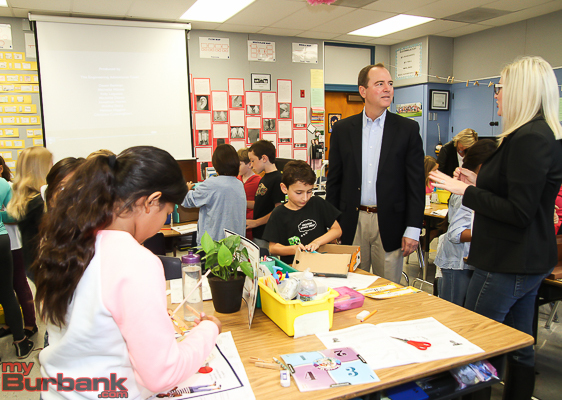 United States Congressman Adam Schiff, State Assemblymember Laura Friedman, BUSD Board of Education Clerk Steve Frintner and Burbank’s Vice Mayor Sharon Springer attended the Autumn Art Soirée, along with members of the community including students, actors, artists, parents and business leaders. Board of Education member Charlene Tabet volunteered at the event along with several other students, parents and community members. 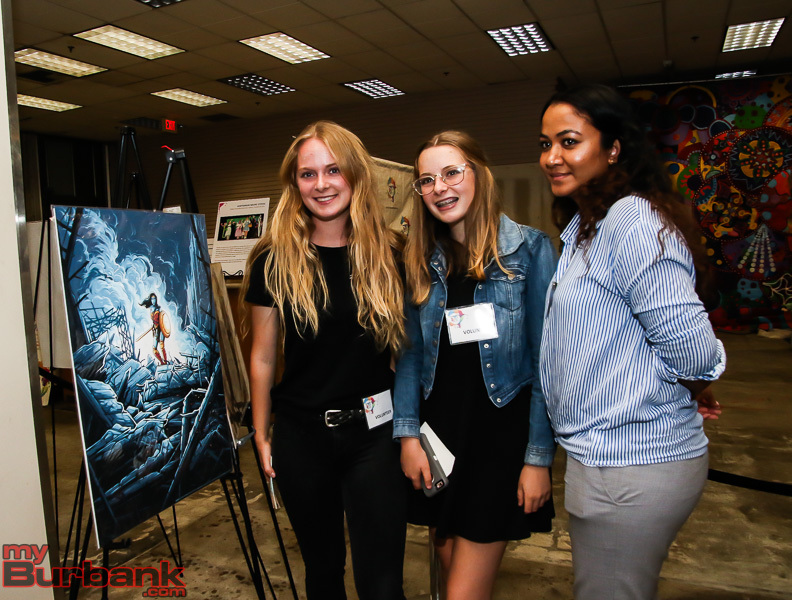 This entry was posted in Events, News, Schools and tagged arts enrichment, autumn art soiree, Burbank Arts for All Foundation, steam, stem on November 8, 2018 by Lisa Paredes. 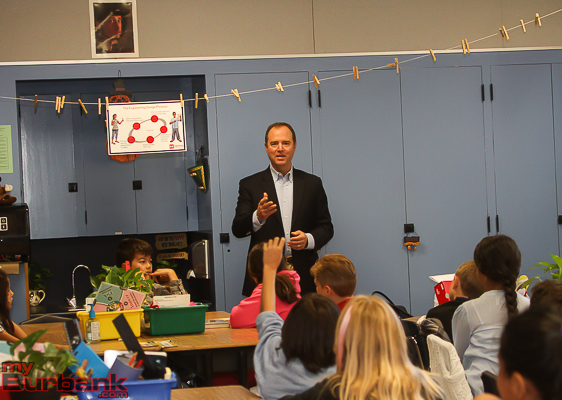 Congressman Adam Schiff stopped by Bret Harte Elementary School on Monday, October 5, to observe a fourth-grade classroom science lesson and see the growing Science Lab at the school. Teacher Alicia Boylan, who teaches both fourth- and fifth-grades, taught a mechanical engineering lesson about the invasion of the cane toad into an indigenous ecosystem, to 29 fourth-graders. The students then created a device to capture a toad using materials such as dominos, paper towel tubes and cotton balls. The catch and release concept was applied to relocate non-native animals, explained Principal Martha Walter. Boylan credits a three-day NTSA Conference in Long Beach with opening her eyes to new possibilities for her students with STEM/STEAM lessons and NEXTGEN Science Standards. Over the summer, some Bret Harte teachers started work to turn a bungalow on campus into a Science Lab, but more funding is necessary to realize the teachers’ ideas.The dedicated science space provides teachers and students with hands-on activities to explore science lessons and concepts, according to Walter. “Hopefully, in the future we will be able to have a real working Science Lab filled with the necessary equipment to conduct the experiments in the NEXTGEN standards!” Boylan said. Boylan also teaches block-based coding with code.org and has started a Coding Club after school so that she can reach all interested students. 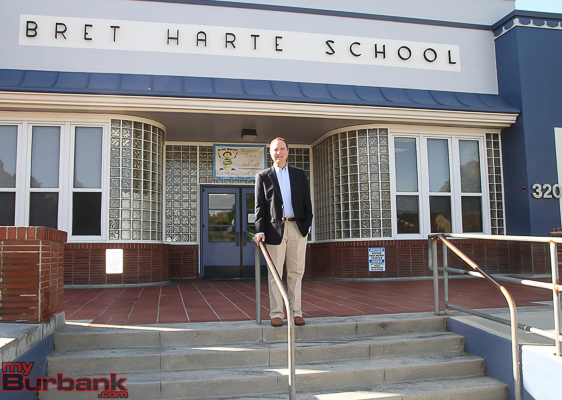 This entry was posted in News, Schools and tagged bret harte elementary, busd stem, Congressman Schiff, science lab, steam, stem on October 7, 2015 by Lisa Paredes. Burbank High School’s arts and digital media teacher James Bentley speaks with clarity and enthusiasm as he describes the technology his classes access during the school day. One of the more frequently used of the 21st Century Classroom buzzwords right now is ‘3D printer,’ and Bentley talks about how the tech is being used in his high school classroom. 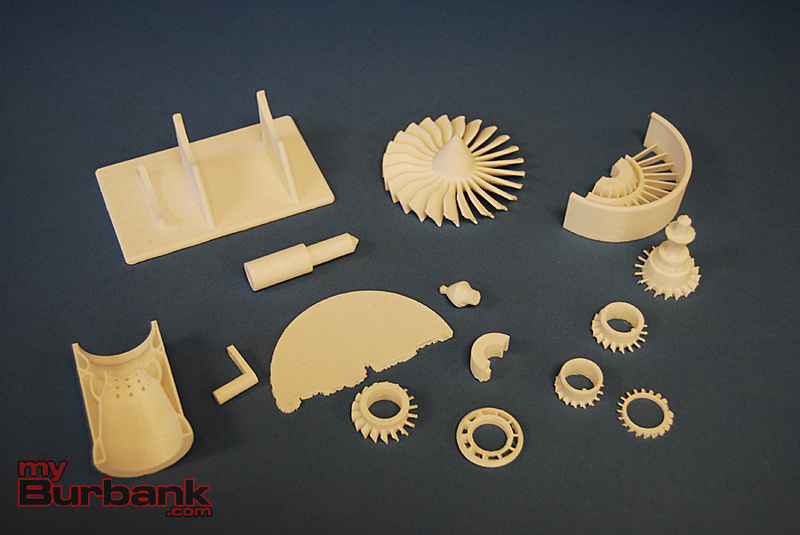 As Bentley lays out all the elements of a miniature turbine engine, built in his classroom’s 3D printer using a plastic filament material source – something like the plastic cord used in a household WeedWhacker, he explains. “The turbine we create parts for is not actually functioning, but when we assemble all the parts and hook it up to a power drill, we can demonstrate how a turbine engine works,” Bentley says, meaning that the plastic parts won’t hold up under regular and demanding use, but they can show how each part of a turbine engine works together. “Three-dimensional printers are great for building prototypes but not for manufacturing parts right now,” he adds. Burbank High School’s MakerBot Replicator Z18 was purchased with a grant a team of BHS students won in the 2014 Burbank Airport Authority competition and a grant from the Burbank Arts For All Foundation. 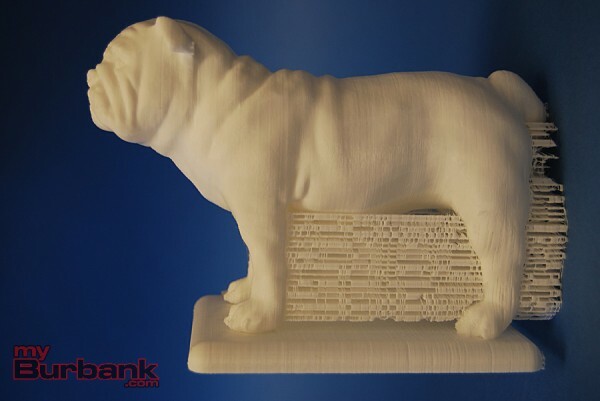 Bentley also shows off a bulldog replica built by the 3D printer. He had created the figurine for the school’s principal Michael Bertram, so he could physically see and touch an object the printer made. “It is the artist who makes products acceptable – the people who make it beautiful, who design objects,” he adds, emphasizing the STEAM concept, the importance of Arts to the Science, Technology, Engineering and Mathematics fields that are expected to drive world economies and a primary focus in education right now. Bentley mentions the example of entrepreneur Elon Musk – his Tesla car, an electric car that can compete with performance and technology of a BMW, and his SpaceX company’s Dragon spacecraft. “I want the kids to buy into his vision,” says Bentley. The MakerBot Replicator Z18 follows a model created through a 3D modeling computer program or via a scanner. The printer uses plastic cord pushed through an extruder, like a hot glue gun, to rapidly build a prototype according to the model. Some printer builds can takes hours, one layer at a time, depending on the size of the object. The built objects can be sanded, painted and put together with other printed items or other materials to build a complex creation, or stand alone as an individual piece. 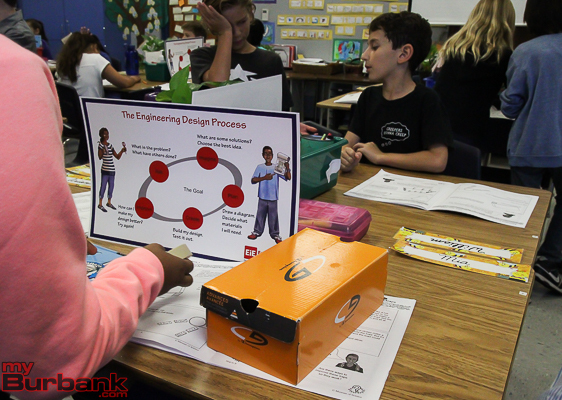 Burbank Unified School District plans to purchase additional 3D printers for the high schools as part of their 21st Century Classroom plan and in conjunction with a recent California state grant to develop career pathways for public school students via the Verdugo Creative Technology Consortium. Both John Burroughs and Burbank High Schools have plans to add additional digital media and manufacturing courses in the very near future. This entry was posted in News, Schools and tagged bafa, burbank airport authority, Burbank High, BUSD, steam, technology on November 26, 2014 by Lisa Paredes. 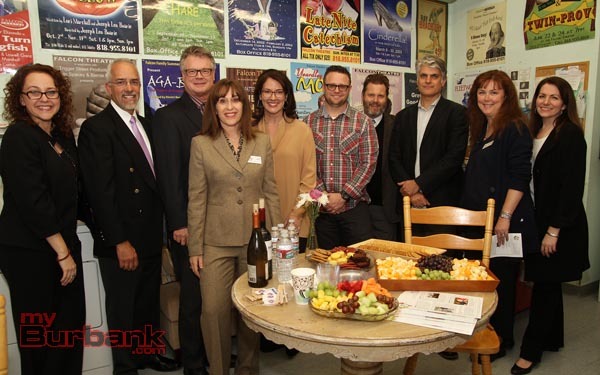 Burbank city and school officials, along with executives from Burbank studios, attended the Verdugo Creative Technology Consortium (VCTC) reception Wednesday, October 29, at Glendale Community College. The event celebrated the recent announcement of a six million dollar grant from the State of California to fund development of digital media and manufacturing programs for area students. “We are collaborating with local industry leaders to develop pathway programs that prepare students for workforce needs in digital media and digital manufacturing fields,” said Dr. David Viar, president of Glendale Community College. “We need local entertainment and manufacturing companies to provide mentors, internships and a variety of other opportunities that allow our students to develop new skills, expand their list of achievements and build relationships with professionals,” he added. 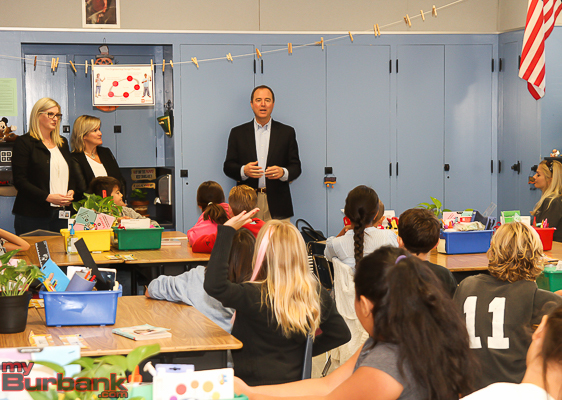 Burbank Mayor Dr. David Gordon, City Manager Mark Scott and City Treasurer Debbie Kukta joined BUSD Superintendent Dr. Jan Britz, Board of Education members Charlene Tabet, Dave Kemp and president Dr. Roberta Reynolds and BUSD administrators at the event. They were joined by Lisa Rawlins from Warner Bros. Studios, Zita Lefebvre from Cartoon Network and Eric Simkin of mOcean. Those movie and digital media studios, along with Nickelodeon Animation Studios have agreed to partner with Burbank Unified School District in developing classes that teach skills necessary for the twenty-first century workplace. 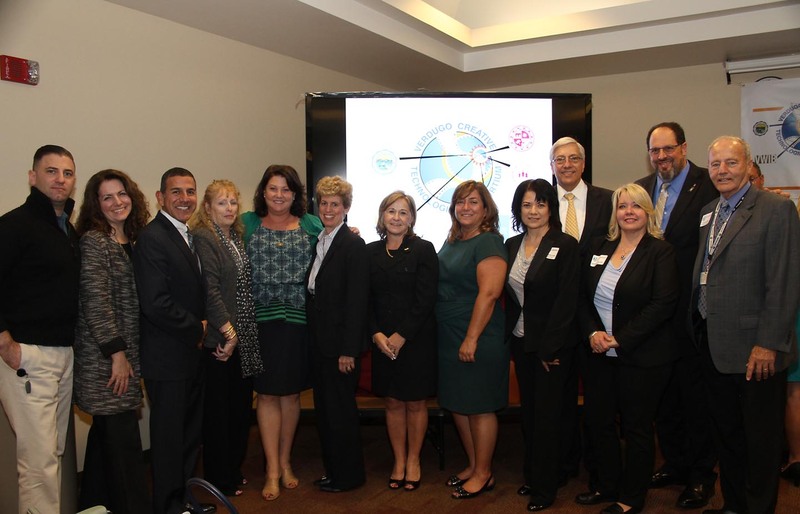 Burbank Unified’s Director of Instruction and Accountability Sharon Cuseo detailed more of Burbank schools and businesses partnership with the VCTC in an previously published interview with myBurbank. Cuseo organized the Burbank part of the VCTC partnership, while Robert Mejia from the Verdugo Workforce Investment Board (VWIB) put the entire grant application together. BUSD and VWIB joined Glendale Unified School District, California State University at Northridge and Glendale Community College to create the VCTC. 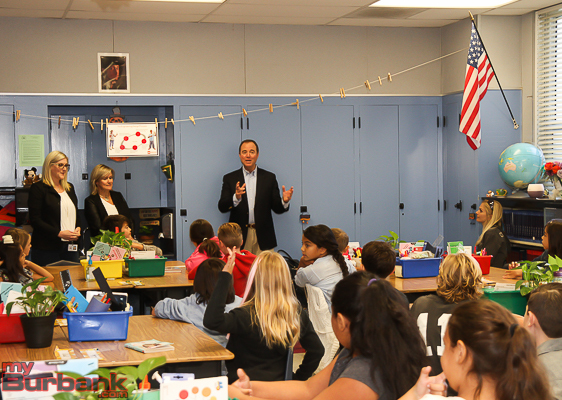 “The potential for Burbank students and local business is exciting,” she added. Science, Technology, Engineering and Mathematics (STEM) has been a popular buzzword in education for years. 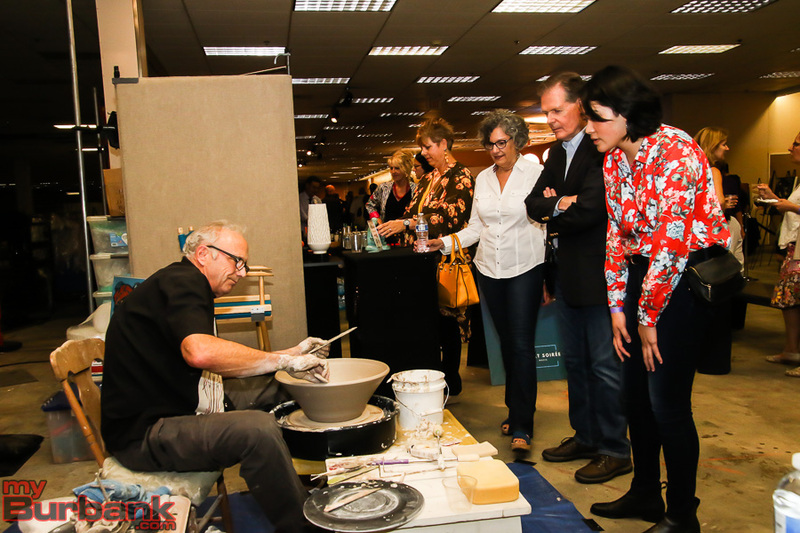 Recently, many educators and businesses have emphasized the need for an Arts, or creative, component to learning, technology and manufacturing, making the buzzword now STEAM. This entry was posted in Business, Events, News, Schools and tagged BUSD, Cartoon Network, City of Burbank, csun, glendale community college, gusd, mocean, nickelodeon, steam, stem, Verdugo Creative Technologies Consortium, Warner Bros. on October 30, 2014 by Lisa Paredes. The advent of the nationwide Common Core standards will support the recent emphasis on STEAM (Science, Technology, Engineering, Art + Design, Mathematics.) 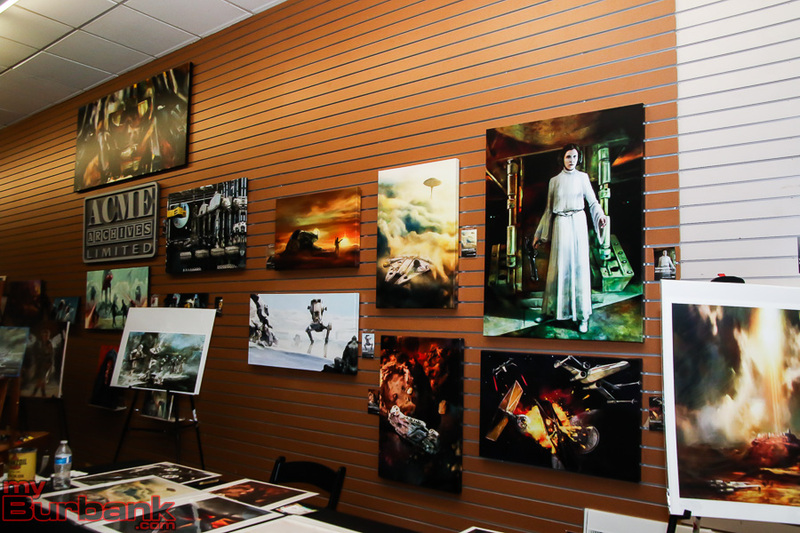 Art and design concepts add innovation to the STEM subjects and many experts point to creativity as the way to keep America and its economy growing. The BAFA forum brought together Fotokem Senior Vice President Tom Vice, Luther Middle School science teacher Joe Reed. LACMA’s VP of Techonology, Web and Digital Media Amy Heibel and Woodbury University’s Associate Professor of Architecture and Coordinator of History-Theory Curriculum Dr. Ewan Branda. 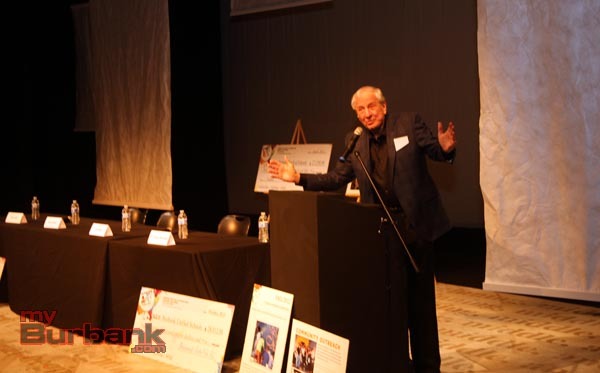 Falcon Theatre owner Garry Marshall kicked off the conversation and welcomed the audience with a humorous opener. 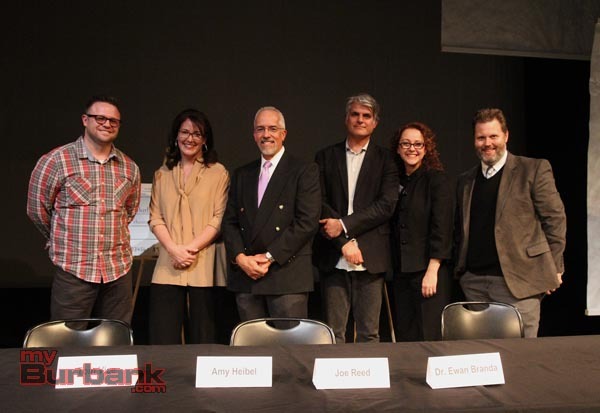 Moderated by Steven Mallory, Director of Ideation at Edelman Public Relations, the goal of the forum was to create conversation between educators and organizations and businesses from throughout the city about the connection of the arts and technology in the schools. 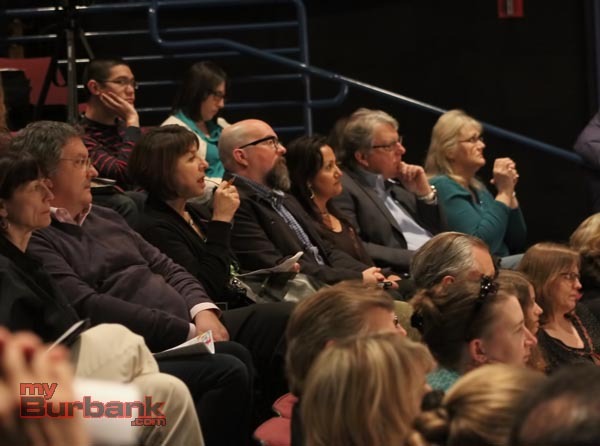 The panel discussed the major changes in art, science, business, education and culture in general brought about by widespread use of technology. Vice mentioned the major changes in image and movie technology over the past eight years, switching the industry standard from film to digital media, and shifting the services Fotokem offers from film finishing and development to include software creation for the production community. The changes Fotokem has undergone mirrors the creative and artistic changes happening throughout in K-12 and post-secondary education. The skills and talents young people must possess for entry into the contemporary business and creative worlds go hand-in-hand with the continuing advances in technology. Reed mentioned the successful Luther Mobile project from 2013, built by students in his Exploring Technology elective class at the local middle school. The lab class uses concepts from applied physics, microbiology and robotics, among other fields, along with technology and creative skills to rebuild an engine-based project every year. 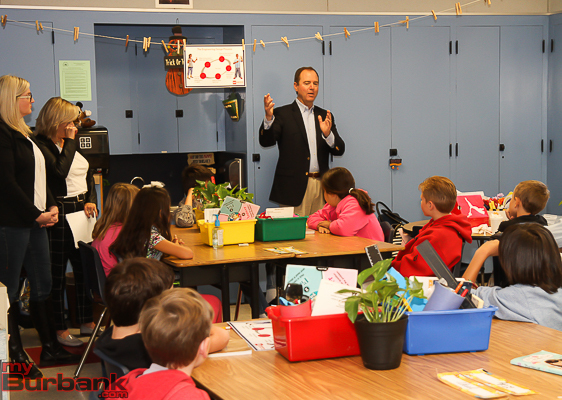 The computer interaction along with the hands-on work inspires kids to innovate, Reed said. He went on to describe one student’s persistence in outfitting an old BMX bike with a motor and making the contraption work. While technology has provided labor-saving help with calculations and digital drawing, on the creative side of things, the digital tools also help determine the building’s ultimate design based on plugged-in factors including dimensions and needs, said Branda. All four panelists agreed that whatever the advancements may be in creating and technology, the ability to work with other people and differing personalities has become paramount. Reed pointed to the building of executive functioning skills – determining the end goal and then planning the steps to achieve that goal – as something he’s working on with his middle school students. Branda mentioned testing early and failing early as hallmarks in any process, be it in building, science, production or art. He also talked about the recent rise in design-your-own games and the distinction between being a passive consumer of media and using technology to create something new. While STEAM has become the new buzzword to move America forward, in education and business, the innovative and creative aspects of technology also help engage students in science, math and engineering fields. An artistic approach and application can make the technical fields a lot more fun, the panelists agreed. 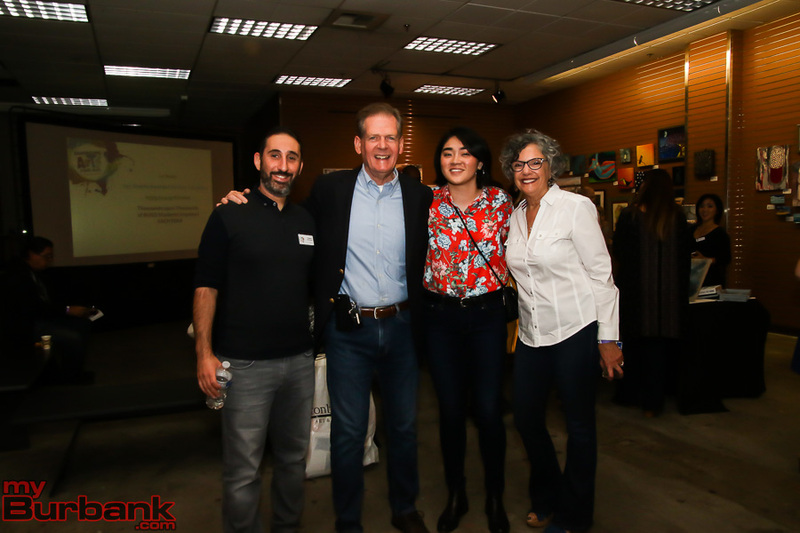 Monday evening’s event was sponsored by Fotokem and held in front of a full house, with members of the BUSD School Board, BAFA, City government, BUSD teachers and administrators, parents and students present. 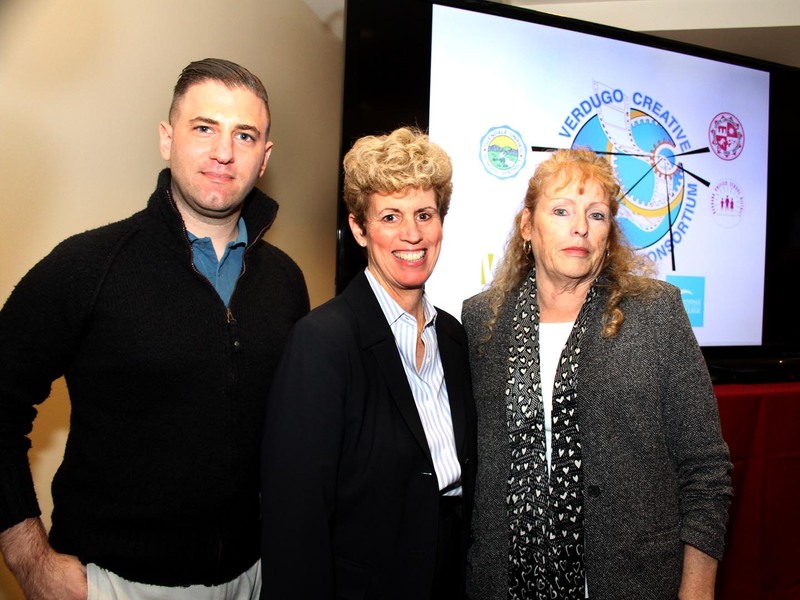 Members of the local business community and creative media industry were also in attendance. 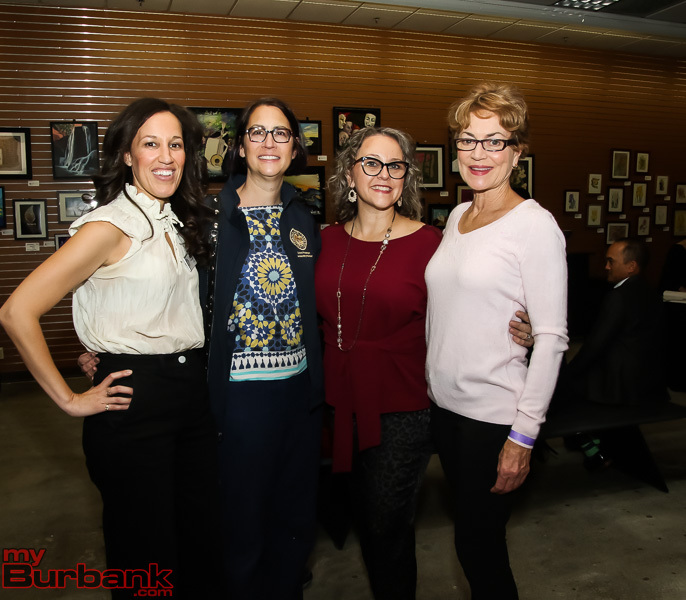 At a post-discussion reception in the Falcon Theatre lobby, panelists and attendees continued to talk about the future of technology and the arts in Burbank schools. This entry was posted in News, Schools and tagged bafa, creative circles, Schools, steam, stem, technology on February 28, 2014 by Lisa Paredes.